Tim Minchin · Matilda the Musical (in 20 minutes) – Performance Rights! Matilda the Musical (in 20 minutes) – Performance Rights! Although, unfortunately, the professional and amateur performance rights for Matilda the Musical are not yet released, the creators of the marvellous West End and Broadway hit are looking forward to releasing a junior version (currently in development) via MTI. If you are super keen to perform, you don’t have to wait for that, because next week it’ll be possible for your school to get a licence to perform a short version: Matilda the Musical (in 20 minutes) which features five of Tim’s fabulous songs: Naughty, School Song, The Chokey Chant, Bruce and Revolting Children linked by passages and excerpts from the script by Dennis Kelly. This version will be available for a limited time prior to the official release by MTI of the aforementioned Matilda the Musical Junior Version. Matilda the Musical (in 20 minutes) will be released for schools and amateur youth groups (i.e. performers aged 16 years or younger) in the UK and Ireland ONLY from 4th March, 2014. For more information, and to obtain the rights, please click here to go to the Carasotto website. At the moment there are no performance rights available to groups anywhere else in the world. This website cannot sign you up to this version, add you to a mailing list for it or give you a licence. 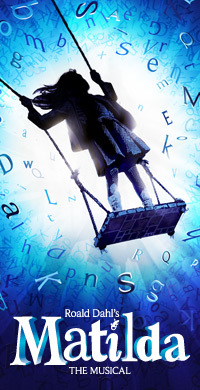 To obtain the rights to Matilda the Musical (in 20 minutes), please visit the Carasotto website. Please can you confirm when a full version will be released for performance in schools? Will you allow schools to do the show whilst it is still running inthe West End? Please let me know when we can buy the rights for the Junior version of Mathilda. I would like to be put on the mailing list!! Very interested in performing this with my school. Please let me know when the junior version will be released? Is it possible for you to email me The short script of Matilda? Hi, I’m working in a summer camp this year and we would love to put on this play. Where and how can I purchase it? Please can someone advise me where I can purchase the 20 minute version of Matilda? Is there any update on when the performance rights for the junior version will be released? We are applying for the 20 mins rights for our performance in April but don’t want to apply for this if the Junior version will be available in the next few months.